My Monongahela district office will host a public display of maps, plans, and information regarding the proposed Freedom Transit Mon Valley Connection from Monday, June 4 through Friday June 8, 2018. Over the past several months, Freedom Transit has been involved in a planning process for development of a Strategic Business Plan and a Transit Development Plan. Among the concepts which have been considered through that process is the idea of a fixed route transit connection which would allow residents of the Mon Valley to access Washington (as well as other portions of the I-79/U.S. Route 19 corridor) more directly, rather than having to go through Downtown Pittsburgh to transfer between Freedom Transit and Mid Mon Valley Transit. Southern Route: would follow U.S. 40 to PA 980, with service to Bentleyville, then follow I-70 to connect with MMVTA in Charleroi. Northern Route: would travel from U.S. 19 through portions of Peters and Union Townships, and connect with MMVTA in Finleyville and/or Monongahela. Freedom Transit is seeking public input/feedback from Mon Valley residents on these proposals and which might be their preferred route. While my district office in Monongahela will be used as a location for a public display of information related to these proposals, additional public displays will be held at the Mid Mon Valley Transit Authority Charleroi Transit Center, Freedom Transit in the City of Washington, and the Sarris Library in Canonsburg. Please contact any of my district offices for additional information or questions. 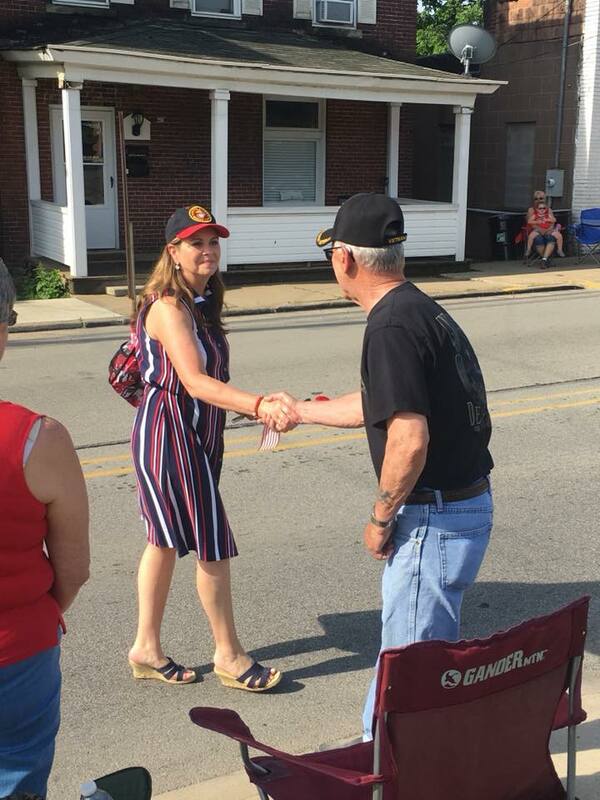 I was deeply honored to be invited to speak at the Memorial Day service at the National Cemetery of the Alleghenies again this year, and I enjoyed seeing old friends and new at the Canonsburg Memorial Day parade. 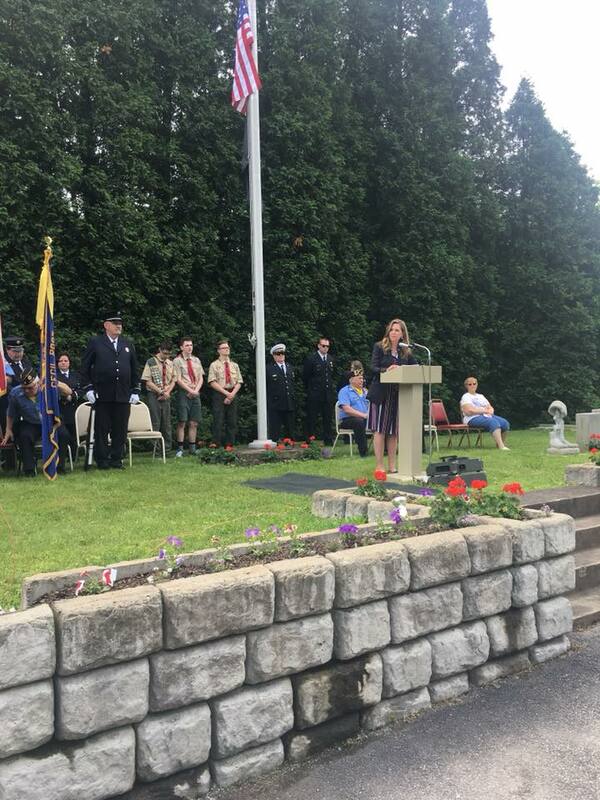 I had the honor of speaking at the Cecil American Legion Memorial Day ceremony as well. God bless our fallen heroes and our Gold Star families. My thanks goes out to all of the local residents who took part in my special telephone town hall event last week that was dedicated exclusively to discussion of property tax reform. An overwhelming number of participants shared their personal stories and their thoughts on how to address this serious problem, and I believe this input will be extremely useful as we work to find a better way to fund our schools and local governments. Community residents who were unable to participate in the call can check out the entire discussion now on my tele-town hall website at www.senatorbartolotta.com/tele-town-hall. Senator David G. Argall, who is the prime sponsor of legislation that would completely eliminate the property tax statewide, joined the event to share his perspective on the problem. I appreciated the information he offered on the property tax debate in Harrisburg and his willingness to discuss this issue with community residents. Two grants totaling $2 million were awarded recently for safety improvements at the Washington County Airport. The grants will help finance the construction of a new taxiway at a cost of $1.7 million and a second section of taxiway at a cost of $933,000. The awards were part of $15 million in airport improvement grants announced by PennDOT last week. 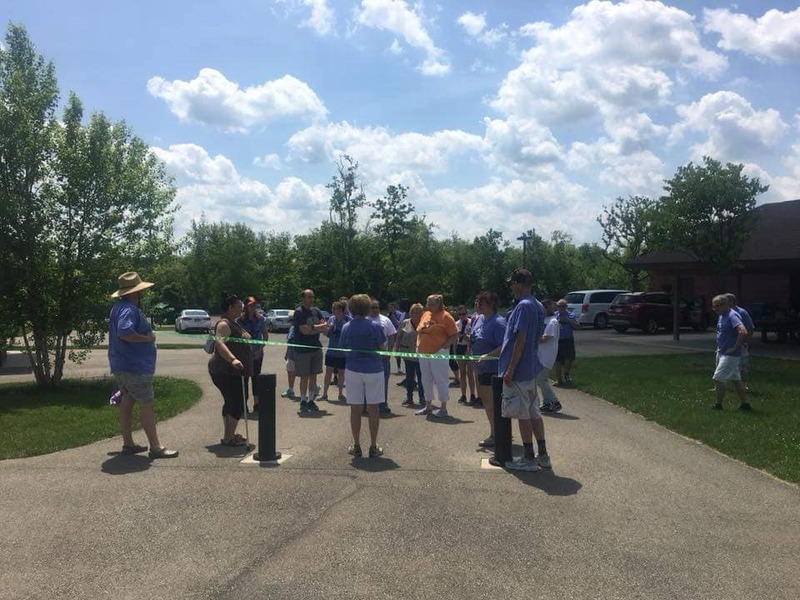 It was a pleasure to attend the 7th annual Washington County NAMI Keystone Pennsylvania Walk in North Strabane Park, which is designed to bring awareness to mental health issues and banish the stigma associated with these conditions. A package of four bills was recently approved by the Senate that could help municipalities buy and sell used equipment, vehicles, and other personal property from volunteer emergency service organizations without competitive bidding. Senate Bills 801, 802, 803 and 804 would remove that costly mandate, thereby reducing costs to taxpayers. Senate Bill 897, which closes a loophole in state law that currently prevents governments, organizations and businesses from collecting restitution if they are victims of a crime. Senate Bill 1031, which requires the Department of Insurance to submit an annual report detailing its spending for third-party contractors to conduct fiscal examinations of insurance companies doing business in Pennsylvania. Senate Bill 189, which amends Pennsylvania’s Crime Victims Act to allow victims to attend the entirety of criminal trials. Senate Resolution 322, which directs the Legislative Budget & Finance Committee to study the effectiveness of standardized testing. Senate Bill 439, which requires carbon monoxide detectors in child care facilities. Senate Bill 1092, which provides for tougher sentences for crimes of domestic violence committed in front of children. Senate Bill 1104, which changes the certification requirements for vocational teachers. House Bill 1952, which addresses a state Pennsylvania Supreme Court decision that impacts Pennsylvania’s sexual offender registration act. Senate Bill 630, which reforms insurance licensure requirements for travel agents. 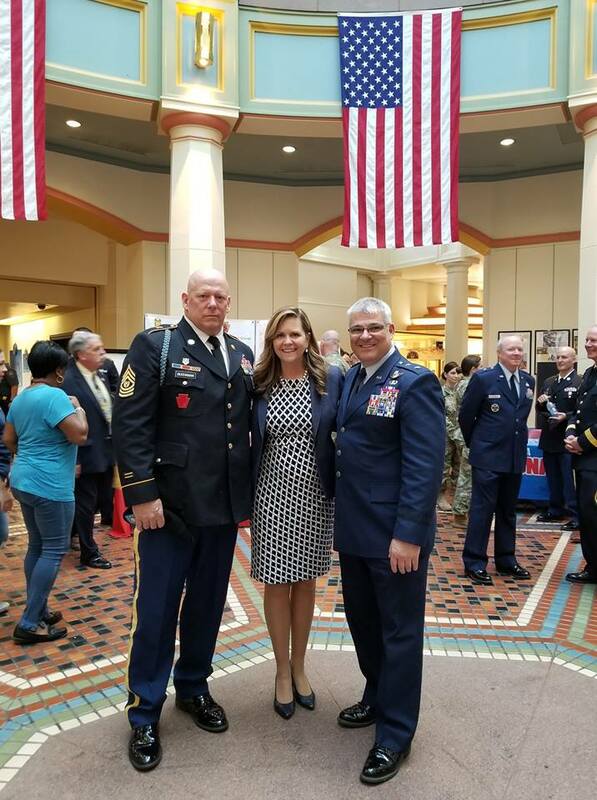 The Senate honored Pennsylvania National Guard Day at the Capitol Building in Harrisburg last week in recognition of the many contributions of our soldiers and airmen to the Commonwealth. I appreciated the chance to visit with Command Sergeant Major Harry Buchanan, Pennsylvania National Guard Senior Enlisted Leader, and Major General Anthony J. Carrelli, Adjutant General of Pennsylvania. A free community event on June 9 will highlight the Whiskey Rebellion, a critical time in the history of our region and the nation. The event is open to all participants free of charge. Beginning at 10 a.m. through 8:30 p.m., participants can follow GPS coordinates to discover historic locations of the Whiskey Rebellion. Historical re-enactments and other surprises will be available along the way. A Liberty Pole-raising ceremony will take place beginning at 8:30 p.m. Details about the event are available online here. Senator Guy Reschenthaler and I had the honor of introducing the South Hills Amateur Hockey Association ‘s 14U hockey team on the floor of the Senate and congratulating them on winning a national championship.